French tenses can be very difficult to grasp. Here is a list of the main French tenses for the LC explained and with examples. We hope it will make it easier for you! Click here to access it. .
Podcast 3 for Junior Certificate Higher & Ordinary Level up. These podcasts cover section c of the exam which contain 5 short conversations. Many thanks to all the teachers who came and enquired about our products for Leaving and Junior Certificates. Don't forget to register to get access to the free vocabulary lists! 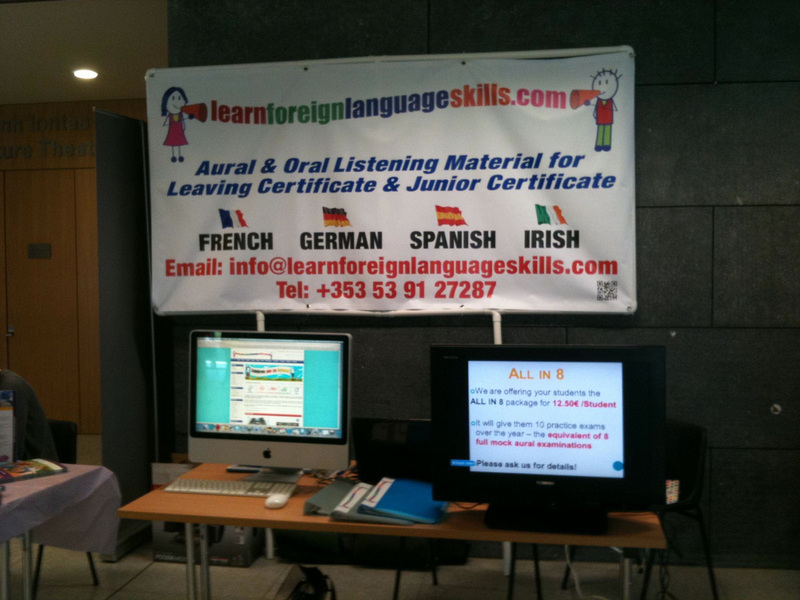 Join us on Saturday 13th October 2012 at Maynooth for the French Teachers Association National conference. Come visit us on our stand and find out about all our products.